This Hyperco coil spring is a conventional style rear spring. It has a 5 inch outer diameter and a 11 inch free length and has 175 pounds spring rate. Great looking blue powder coat finish and made from high-quality steel. Spring features both ends closed and ground flat. Hyperco's high travel conventional rear springs brings closed end Nascar style spring technology to the Hyperco conventional spring line. With traditionally designed, open on pitch coils, very little contact is made with the riser. This means very little of the end of the coil of the spring will deaden out during the early portion of spring deflection. The closed end design of Hyperco's high travel conventional rear springs directly impacts the number of active coils that deflect during spring compression. This creates a very progressive spring rate through the initial stages of deflection. Static load is reached with less spring deflection leaving more on track dynamic travel and more travel on the racetrack enables more aggressive and faster set-ups. For over 25 years, the Arnott family has been the innovator in air suspension replacement products. Today, Arnott Inc. is the global industry leader in manufacturing quality aftermarket replacement air suspension products and accessories. Arnott's nearly 300,000 square foot manufacturing plant is located in Merritt Island on Florida's Space Coast. The facility is located on a 21-acre campus, just a few short miles from the Kennedy Space Center and Port Canaveral, which offers the company an excellent gateway to global shipping and logistics. 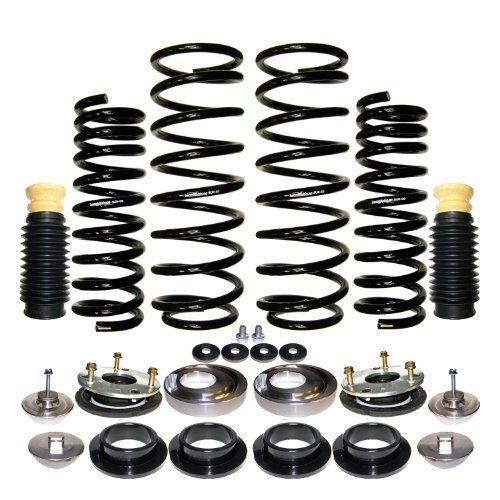 Air Suspension Conversion Kit with Rear Shocks Kit includes: Coil Springs to Convert the vehicle from Air Suspension to Conventional Springs and Rear Replacement Gas Shocks. This kit will keep the rear of your car at factory height while providing a smooth ride. The conversion kit will eliminate the air suspension problem forever. How to disable the air suspension light is provided in the instructions. 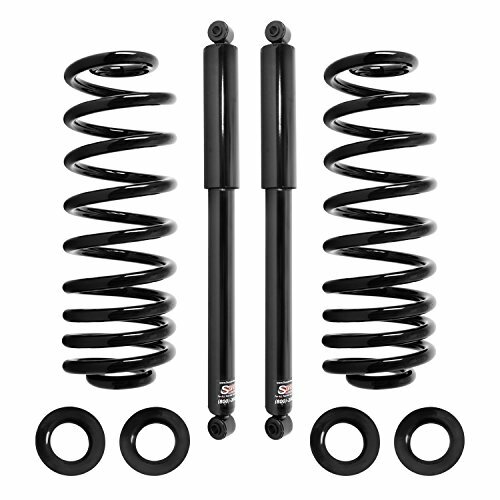 Rear Gas Shocks should be replaced every 50,000 miles and are included with this kit. 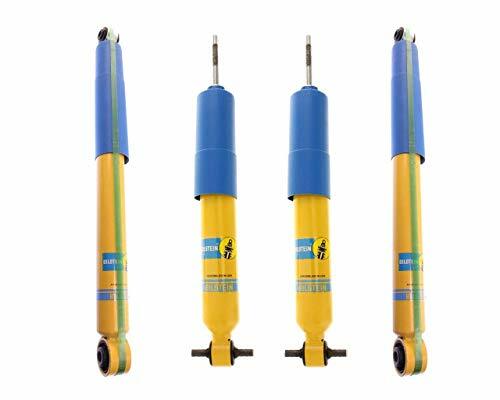 For safety reasons your Rear Gas Shocks should be maintained for these periods. This kit comes with a **Limited Lifetime Warranty** against any manufacturer defects and included with your purchase you will find easy to follow installation instructions. This Hyperco coil spring is a conventional style rear spring. It has a 5 inch outer diameter and a 11 inch free length and has 275 pounds spring rate. Great looking blue powder coat finish and made from high-quality steel. Spring features both ends closed and ground flat. Hyperco's high travel conventional rear springs brings closed end Nascar style spring technology to the Hyperco conventional spring line. With traditionally designed, open on pitch coils, very little contact is made with the riser. This means very little of the end of the coil of the spring will deaden out during the early portion of spring deflection. The closed end design of Hyperco's high travel conventional rear springs directly impacts the number of active coils that deflect during spring compression. This creates a very progressive spring rate through the initial stages of deflection. Static load is reached with less spring deflection leaving more on track dynamic travel and more travel on the racetrack enables more aggressive and faster set-ups. 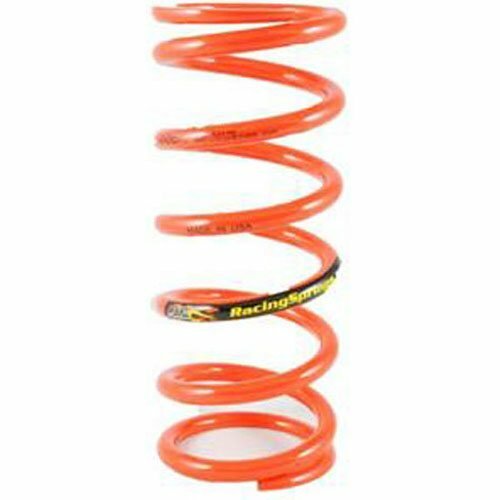 This Hyperco coil spring is a conventional style rear spring. It has a 5 inch outer diameter and a 13 inch free length and has 175 pounds spring rate. Great looking blue powder coat finish and made from high-quality steel. Spring features both ends closed and ground flat. Hyperco's high travel conventional rear springs brings closed end Nascar style spring technology to the Hyperco conventional spring line. With traditionally designed, open on pitch coils, very little contact is made with the riser. This means very little of the end of the coil of the spring will deaden out during the early portion of spring deflection. 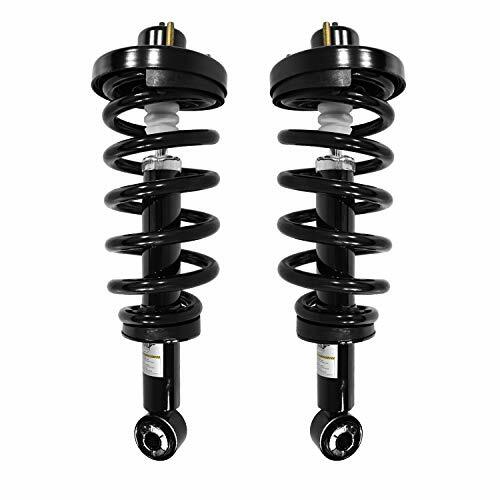 The closed end design of Hyperco's high travel conventional rear springs directly impacts the number of active coils that deflect during spring compression. This creates a very progressive spring rate through the initial stages of deflection. Static load is reached with less spring deflection leaving more on track dynamic travel and more travel on the racetrack enables more aggressive and faster set-ups. This Hyperco coil spring is a conventional style rear spring. It has a 5.5 inch outer diameter an 11 inch free length and has 225 pounds spring rate. Great black powder coat finish and is made from high-quality steel. Spring features one pigtail end and one closed end. 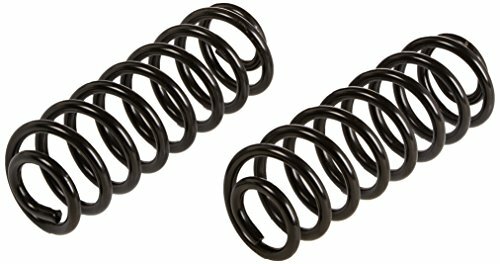 These Hyperco springs are the highest quality coil springs money can buy and the same material and quality as used in cup springs. All springs are guaranteed to rate and to maintain their rate for the life of the spring. Hypercoils are used by more winners than any other spring on the market in all kinds of racing. 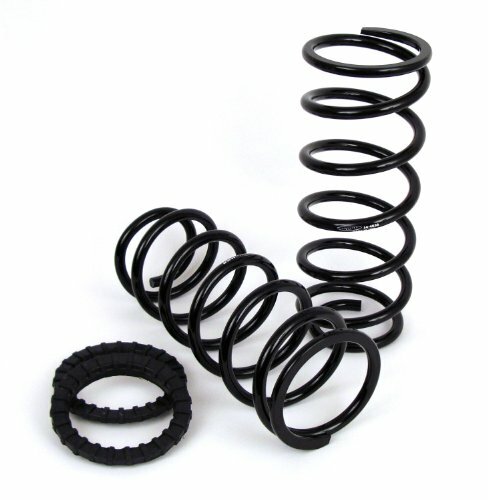 This Hyperco coil spring is a conventional style rear spring. It has a 5.5 inch outer diameter an 11 inch free length and has 200 pounds spring rate. Great black powder coat finish and is made from high-quality steel. Spring features one pigtail end and one closed end. 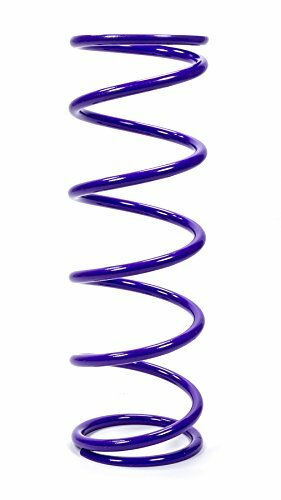 These Hyperco springs are the highest quality coil springs money can buy and the same material and quality as used in cup springs. All springs are guaranteed to rate and to maintain their rate for the life of the spring. Hypercoils are used by more winners than any other spring on the market in all kinds of racing. Landrum Springs J150 13in. x 5in. x 150# Rear Spring. Product Dimension (LxWxH): 5.7x13.7x5.2. 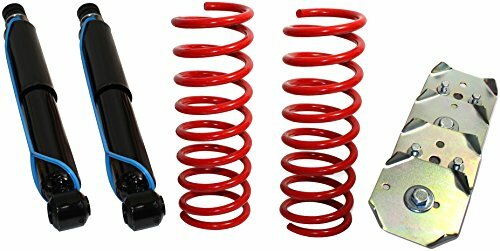 Gas Shocks, along with the Front and Rear Conversion kit the vehicle from Air Suspension to Conventional Springs. This kit will keep the car at factory height while providing a smooth car ride. You will be saving Time and Money by purchasing this complete kit. The X5 conversion kit will eliminate the air suspension problem forever. 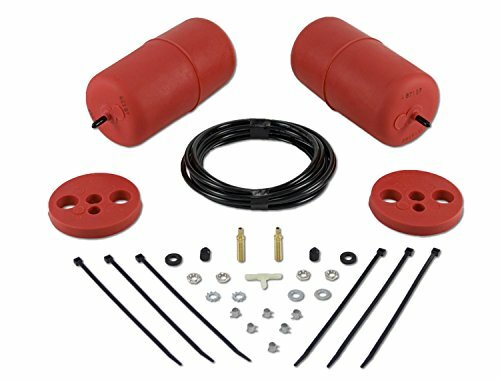 Gas Shocks should be replaced every 50,000 miles and are included with this kit. For safety reasons your Gas Shocks should be maintained for these periods. This kit comes with a Limited Lifetime Warranty against any manufacturer defects and included with your purchase you will find easy to follow installation instructions. Monroe load adjusting shock absorbers adjust rapidly to changing road and weight conditions, delivering enhanced control with uncompromised ride comfort. They offer superior comfort for normal driving and deliver extra control when operating conditions get more demanding. These units also include a heavy gauge calibrated spring for extra control and comfort. A new pair of Monroe load adjusting shock absorbers can assist in maintaining ride height when up to 1,100 lbs. of additional weight is loaded. These units are ideal for light trucks that carry varying loads or tow trailers. 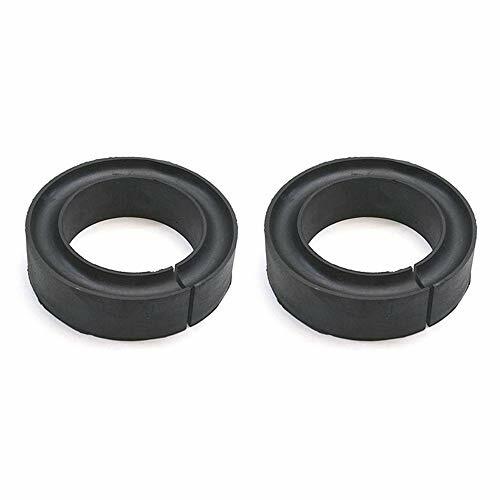 Rubber coil spring spacer for increasing spring load. A quick way to increase spring rate for fast or rough tracks. Works with 5" and 5.5" O.D. coil springs. Spacer is 7/8" thick and 1" wide. 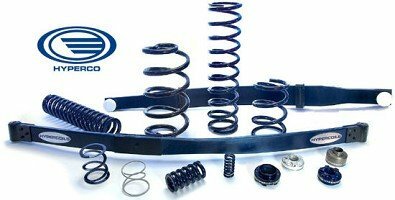 Upgrade your vehicle's suspension with Dorman coil spring conversion kit. Dorman high-quality air spring to coil spring conversion kits are made using cold wound steel and feature a rust resistant coating for a longer reliable service life. At Draco Spring, we have developed, designed and manufactured most of our production equipment in-house. This has enabled us to produce springs to tighter tolerances and a quality level that is unprecedented in the industry.